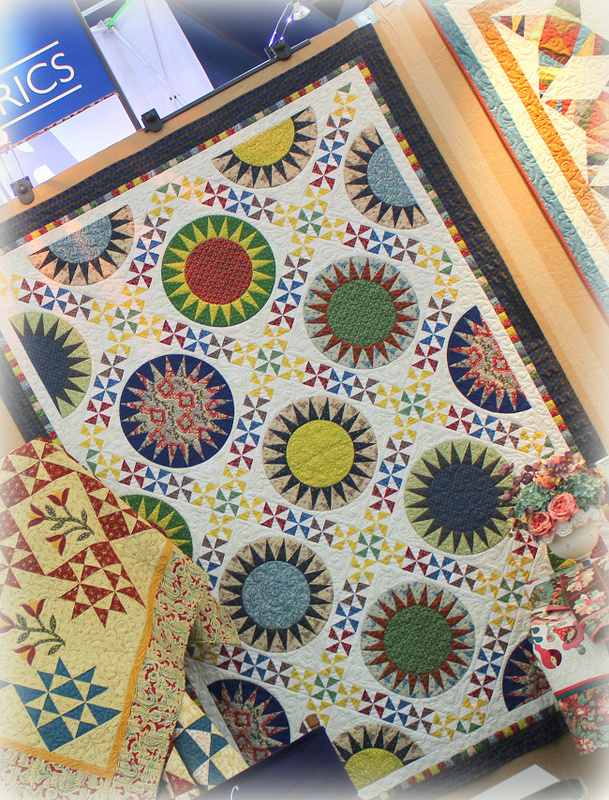 This entry was posted in Quilt kit, Quilt Pattern, Quilting, Quilts & Projects: Published, Quilts: Pieced, Quilts: Pieced & Applique and tagged American Patchwork & Quilting, Aurifil, Creative New Quilts & Project, Fall Houston Quilt Market 2015, Hoffman Fabrics, Island Batik, Landauer Publishing, Mary Koval, Quilt Book, Quilting Treasures, Wendy Sheppard Designs, Windham Fabrics. Bookmark the permalink. 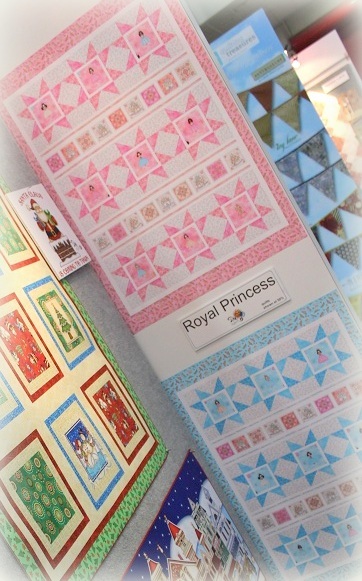 I love the Postage Stamp collection and the quilts you made with it. 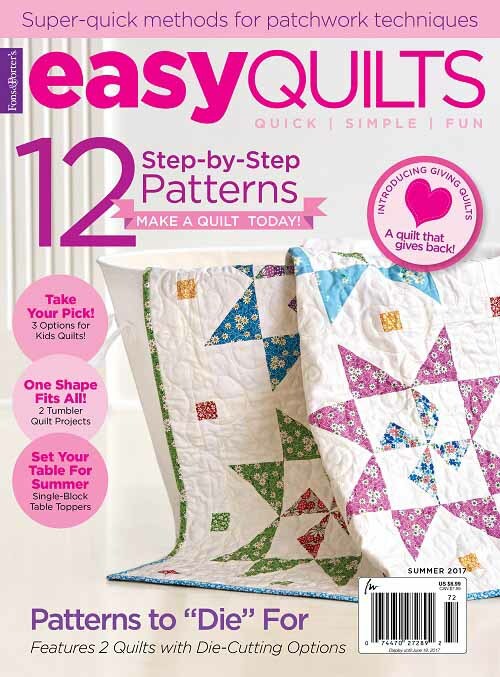 I tried to get your free patterns, but they were not hot links. Did I miss something or are they not available yet? I would really like to know when they become available and I will watch for the Postage Stamp Collection in stores. I don’t think they are available yet. I will try my best to post them as I find out when they are available, but I am often not privy to the details… Keep checking Windham’s site! You DO deserve the recognition, because you’ve worked hard to earn it, and you are very talented. You’re allowed to do a happy dance when it’s recognized. I’m a huge fan, and doing the happy dance for you, too. I love that you’ve earned the success, and that you praise God because of it. What a wonderful post. 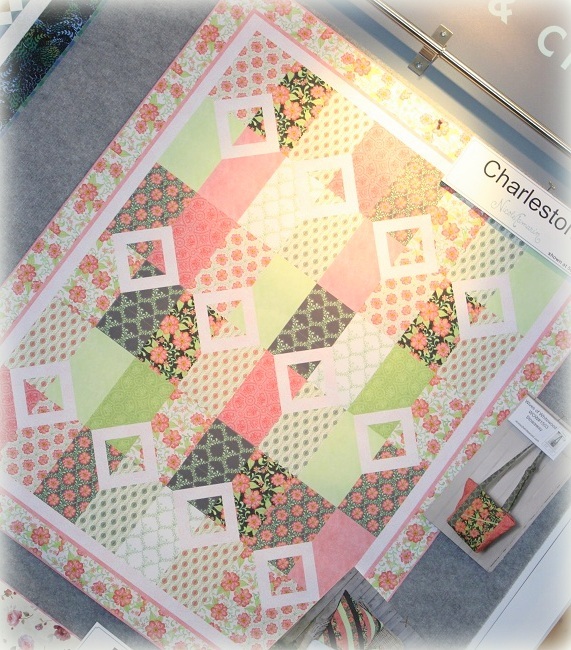 Thanks for sharing insights on Quilt Market. 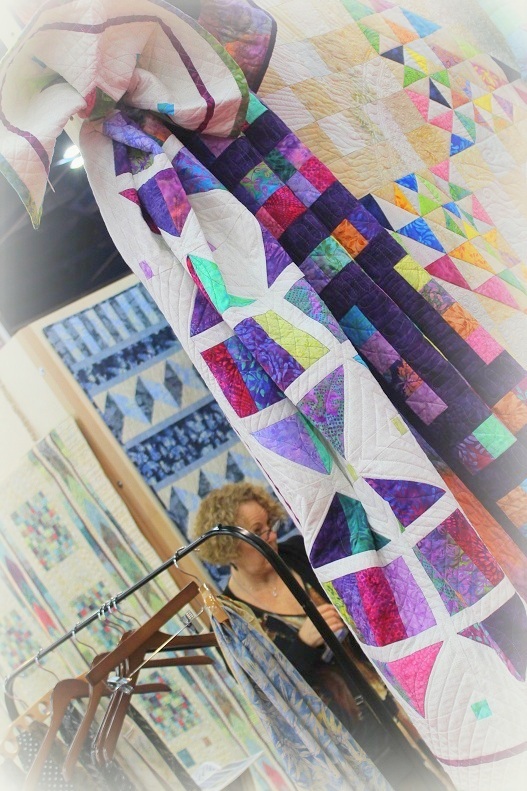 I am amazed with how many stunning quilts you had exhibited at Market. 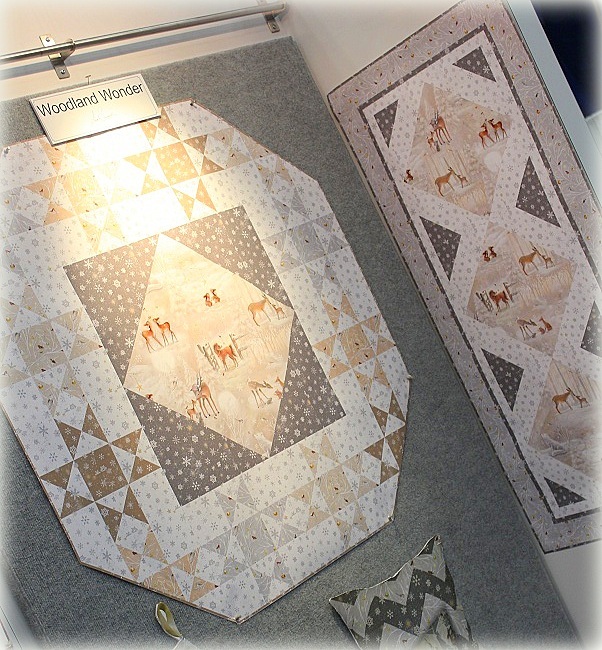 I think you need an award, as I’ve never seen so many beautiful quilts from the same designer at Market. Yeap, you’ve been busy, but you are so gosh darn creative. 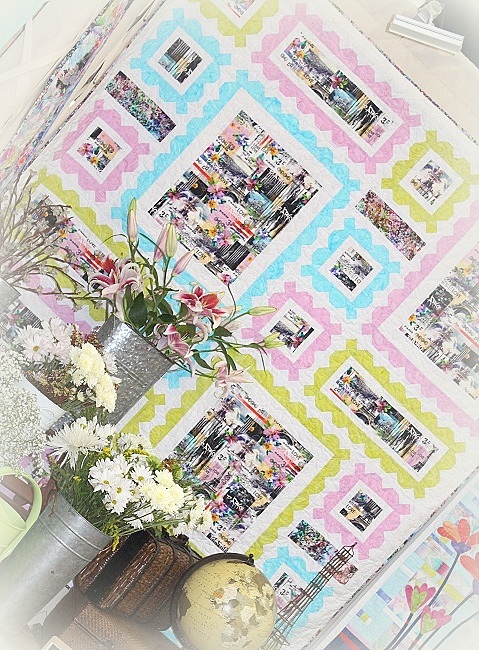 Love all of your #CreativeGoodness, but your postage stamp quilt is amazing. 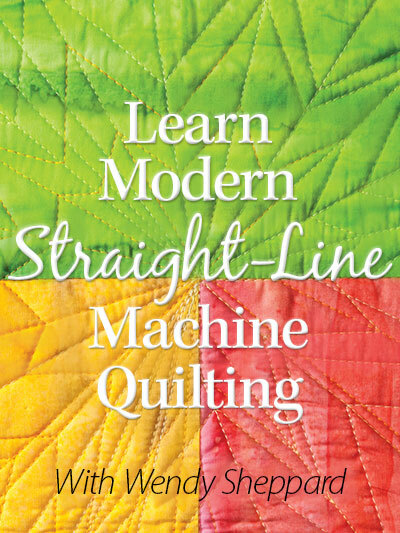 Can you advise how to keep quilts straight please when long arming>? Do you have any tips? 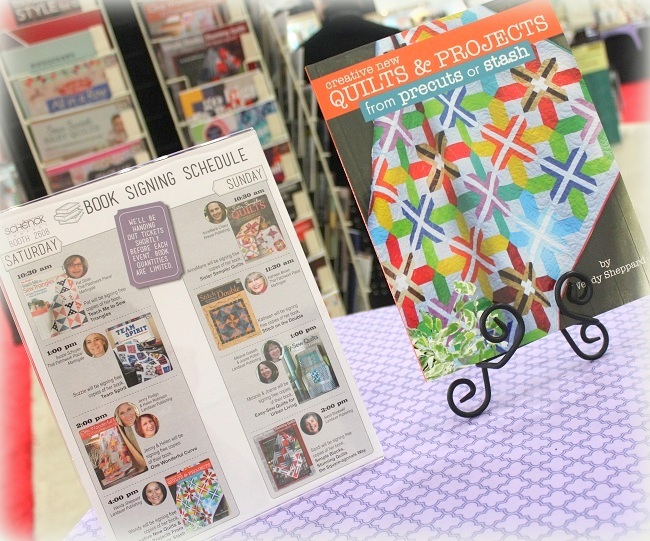 What a fun tour of your quilts and patterns–look forward to seeing your new book, too! Thanks, too, for your witness….a great reminder to us all! Wendy, please do not sell yourself or your talent short. You’ve taken God’s gift and multiplied it. 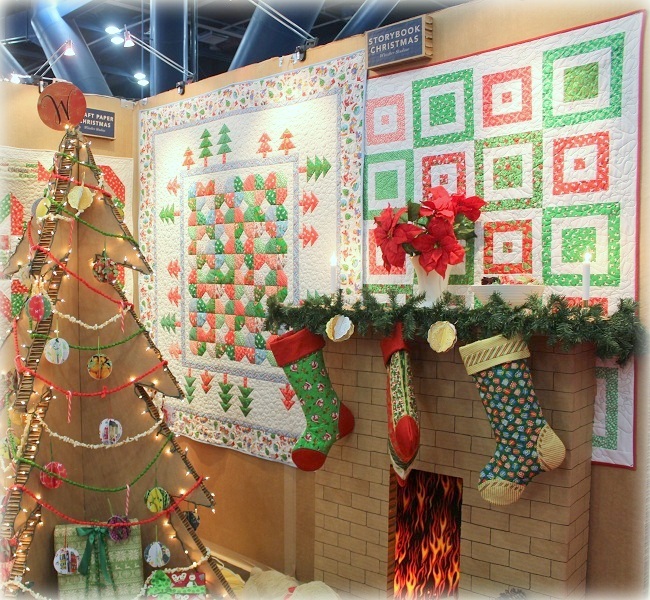 I especially like the postage stamp, Charleston, and Christmas quilt with the trees. How cool to walk Market and see all your wonders everywhere – congratulations and thank you for sharing your talents with all of us. 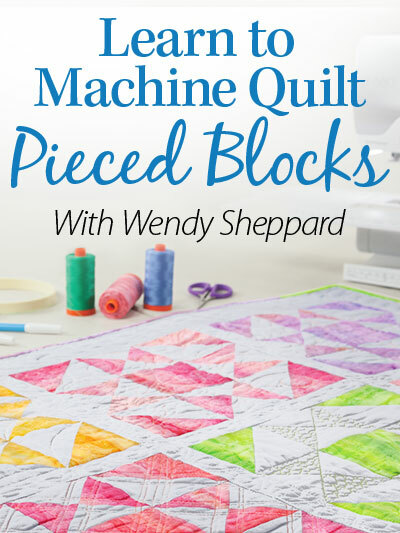 We all know how busy you are, but don’t really realize just how busy until we see a post such as this one!! You must feel so proud of your accomplishments!! 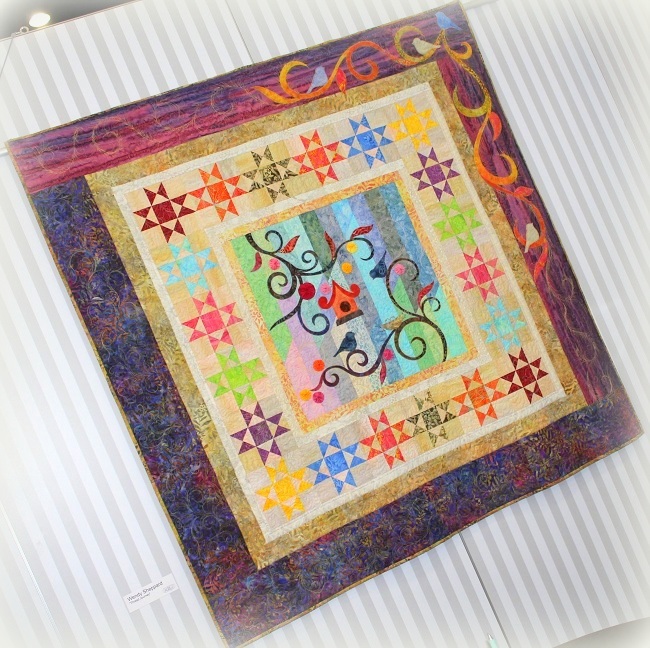 You continue to inspire & teach us every time you post pictures of your quilts. 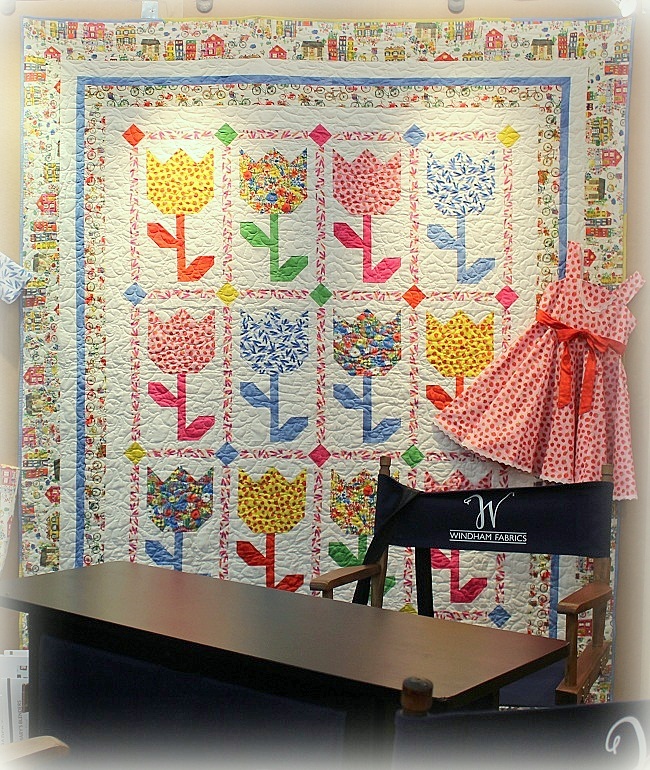 Sometime I hope to get to Houston quilt market & see all those booths!! 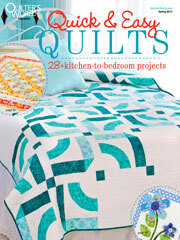 I’m starting to quilt my big quilt so will be sending pics soon I hope! I’m just about speechless! 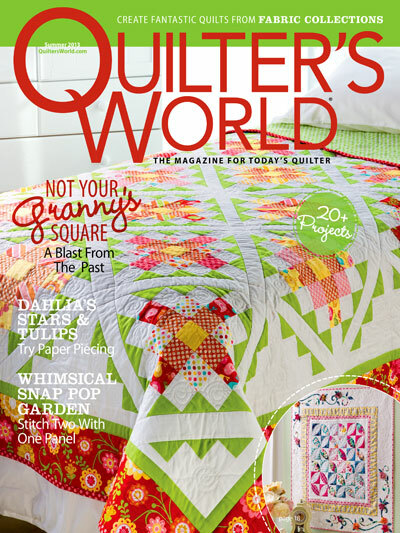 The quilts are beautiful and it’s so nice seeing you’re getting the recognition you deserve. 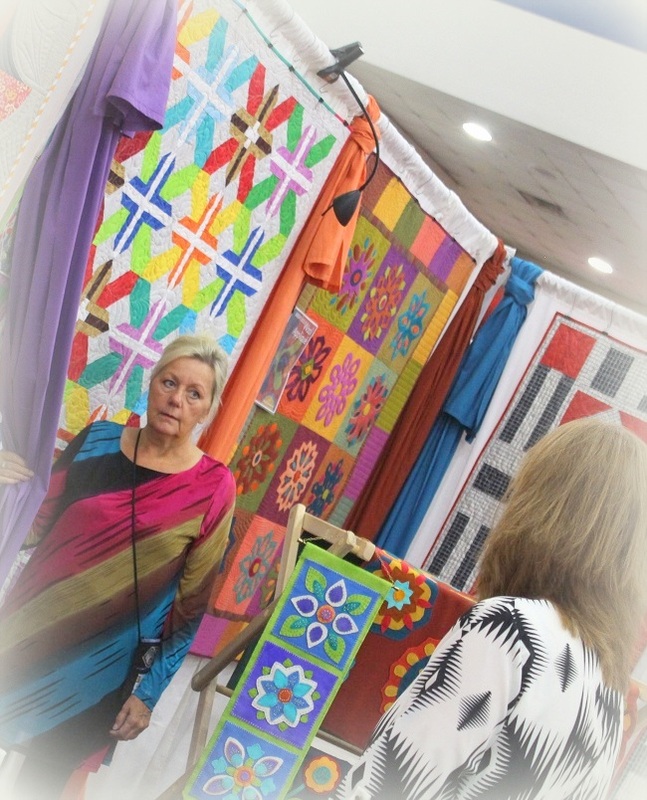 I have a feeling Mary Koval went home thinking “I met Wendy Sheppard! 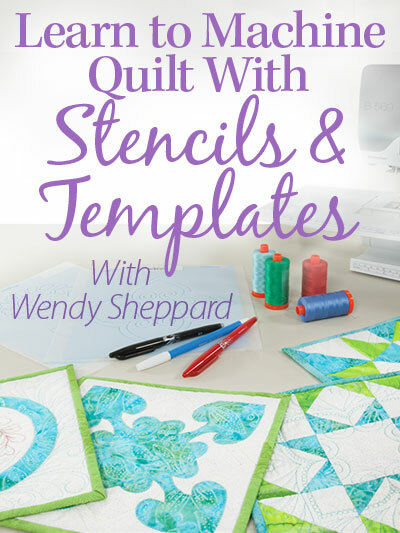 THE Wendy Sheppard!” Your Thread Journey is one of my favorites ….I’m glad it will go on tour and I hope to re-create it myself. ps…HE is glorified in all you do and say! Your light shines brightly. Love and prayers always…. You must NEVER sleep! Your work is an inspiration. Wow, you were everywhere! That was a lot of work and you should be absolutely exhausted! I hope and pray someday I get to experience the Houston show in person but am thankful that others go and share their pictures. I wish I didn’t have to sleep as there is not enough time in the day to make all the things I see. Thanks for sharing. 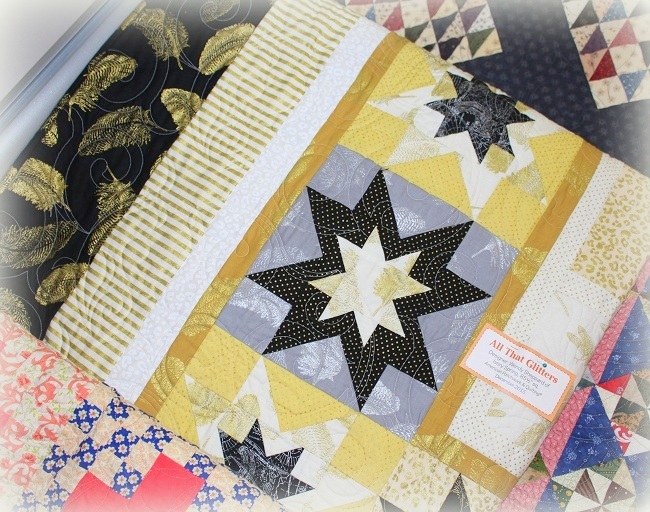 Can you show more of your amazing quilt that looks like suns that you designed with Mary Kovals fabric? I LOVE it!! !